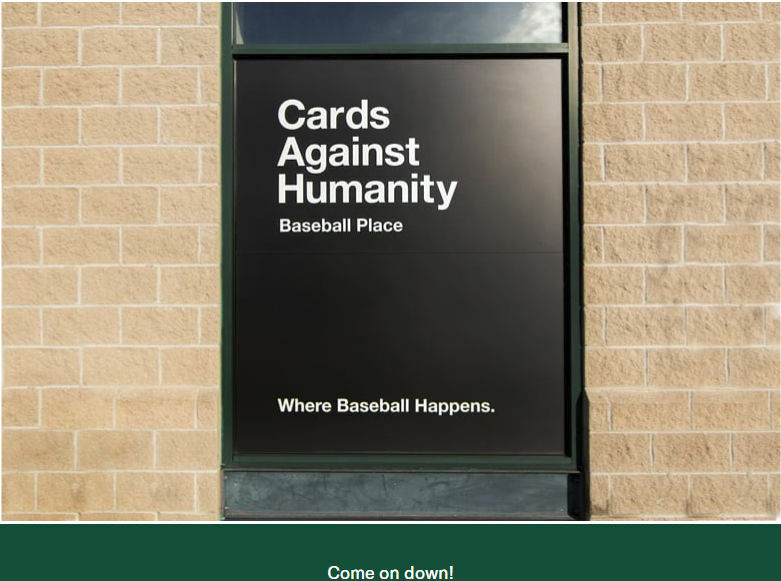 The day 6 banner at cardsagainsthumanitysavesamerica.com. Day 6 of the Cards Against Humanity Saves America promotion has arrived and brought with it an end to the annual CAH inspired holiday fun. To close out the celebration this year, CAH bought the naming rights to a minor league baseball field and provided us with blueprints of the field and free tickets to any game on the schedule in the upcoming season. They also included a pack of 12 baseball cards (out of 22 in the series) representing the team that will play at The Cards Against Humanity Baseball Place, and - of course - there was a new pack of 6 CAH game cards as well. A ticket to a Joliet Slammers game, courtesy of CAH. The blueprints for the field. 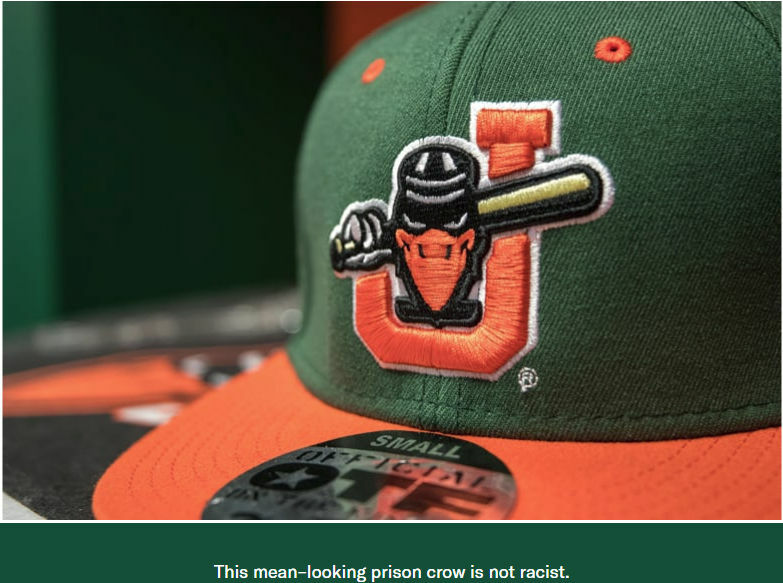 The totally not racist logo of the Slammers. A FAQ from the cardsagainsthumanitysavesbaseball.com website.